A smile communicates your emotions more precisely than words can ever do. The absence of a smile also sends a clear message. But what if you want to smile but the issues with your teeth prevent you? This is a frustrating condition for many people both young and old. This begs the question: “What has prevented you from seeking a smile transformation?” Is it the cost? Fear that it’s going to be painful? Doubts about whether it will really work? 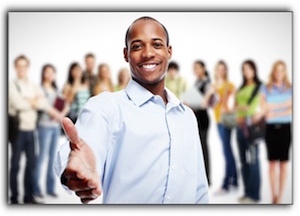 Worry that you will have to take work off for several appointments? Maybe you are just too embarrassed to let anyone look in your mouth. If you are still reading this post, I suspect you are on the fence regarding this life-changing renewal. You can’t make a wise choice unless you have the important facts, and I want to provide them to you. Knowledge is power. I invite you to come in for a free, informational smile makeover consultation. I want to speak with you about all the concerns I mentioned previously and any others you may have. When I perform a smile transformation for someone who has been embarrased to smile for years, it changes that person’s life. 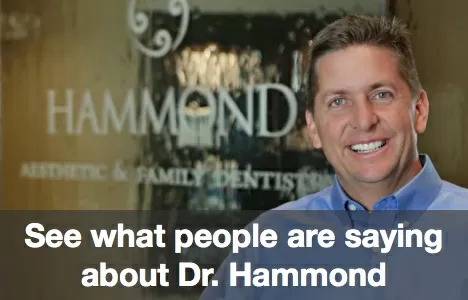 Because of revolutionary procedures, instruments, lab processes, and materials, it’s a great time to be a cosmetic dentist and an even better time to get a smile makeover at Hammond Aesthetic & General Dentistry in Provo. The key to a smile makeover that transcends what is technically adequate to the type of sensational smile that is greater than the sum of its parts is the expertise of the dentist. To reach the level of perfection that you deserve, a consummate smile makeover dentist must have the capacity to use all these things in combination with rare artistic skill. I invite you to call me, Drs. Chris Hammond, today at 801-374-0070.